Let's face it - the sport of Disc Golf is changing fast. Probably never before in it's lifespan has Disc Golf seen so many big changes in such a short time period in so many different aspects of the sport. Everything from the discs, the gear, the courses, the players and the professional tournaments has evolved very fast in the past few years. We here at Discmania are all about pushing the sport forward the best we can, and we take pride in saying we've not done such a bad job doing so. What seems to be the most essential factor to the development of the sport is, quite unsurprisingly, the youth. After the "hippie years" Disc Golf has been seeking for a direction somewhere between a fun past time activity and serious professional sport. 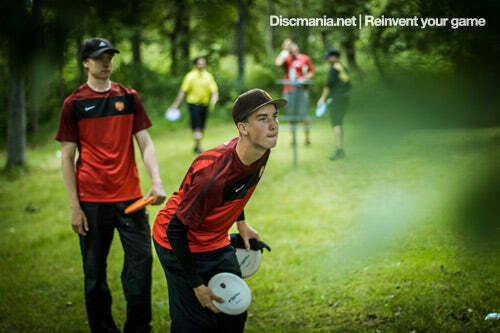 Of course the majority of Disc Golfers are still just playing for fun, but in the past few years we've seen a whole new generation of young athletes that spend their free time not just playing but really practicing for the big tournaments out there. The youth is taking over. We believe this generation is the real game changer that will push the sport to the level where we will see a healthy amount of professional disc golfers that will actually start making a good living out of being a Disc Golf Pro. The change of pace has been really fast. The PDGA ratings for example have jumped to a whole new level just this year, as we've seen a record amount of 1100-rated rounds. Winning the biggest tournaments these days requires an average of 1050-1060 rated rounds, which is something we wouldn't have dreamed of not too long ago. As the skill level of the top Pro's keep climbing and the overall talent pool of the players of this sport gets bigger and bigger, there's only one direction for the sport and it's up. It's the youth that is ensuring this sport's bright future and we at Discmania want to do the best we can do to support this young generation of awesome discgolfers. Q: First of all congratulations for a great finish at the Worlds! Your sixth place was the best placement ever for a Finnish player in the Pro Worlds. What was your pre-tournament goal and are you happy with your placement? Seppo: When I finally made the decision that I will go to play Worlds, I started to prepare to weather, wooded holes, time difference and all different kinda thing I know I have to do well for playing my best tournament ever. My goal was that I want to play shot after shot and stay focused all the time and I knew that will give me the best result what I can get. I'm happy with my placement because I played better and better round after round and that made me win all the world champions from previous years. Q: You competed in the Open division, even though considering your young age, you still would have been eligible to compete in the Juniors-19 division. Was it an easy choice to go play with the big boys? Seppo: I won Juniors World Championships 2010 so I didn't have thing I wanted from there anymore. Playing with ''big boys'' is way more instructive and I have played a lot of rounds with them, so I already know what it's like to play with best players. This time I did it well with them and actually won all other players I played with but Will Schusterick who was 2nd. I'm also playing with Pro status and can't play in amateur divisions anymore. Q: The Worlds is a long tournament and the weather this year was really hot. How do you prepare yourself for a hot round and how do you consider can one keep their game consistent throughout a 7-8 round tournament? Seppo: It's long tournament and there was very hot this year. I'm happy I knew that before I went there. I did prepare my self playing with lot of clothes in Finland's weather and playing like 5-8 hours per day. I tried to stay focused all these practice times and it made me to tolerate those long and hot days. I also took a lot of information from internet on how to get less affected by hot weather. I drank about 3 liters per round, stayed in shadow all the time, had a wet towel on my neck and used light and high quality Discmania T-shirts. Staying consistent through 7 rounds is not easy. I'm not sure how the other players did it but for me it means a lot more than just throwing disc. I ate good food with not so much fat and calories, went to sleep early, drank water, didn't use my energy for other things etc. For many people those things doesn't mean anything, but I know that everything like that makes your performance better. I also had good game plans and I knew what I do on every hole so I didn't have to use any extra focus to that during my rounds. I just made everything to stay focused and when I noticed that I'm not in focus right now, I ate something, drank water and went to make my next shot with taking my time and relaxing. In my opinion my preparing to this tournament was great and I'll use same methods in future. 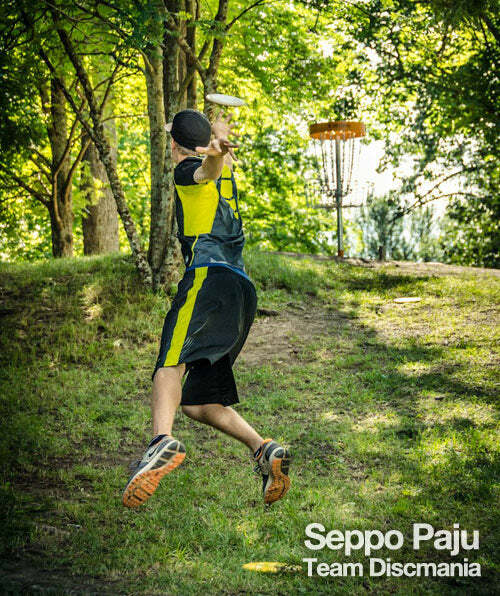 Playing at the top level requires good physique and Seppo has it to spare. Q: Which disc models did you use the most at the Worlds and why? 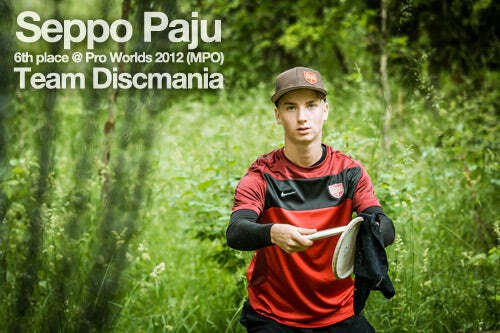 Seppo: My main disc was absolutely S-line MD2 Fiend. There was a lot of tight wooded holes where player wants to stay on fairway and make the shot through the first two trees. I know that MD2 holds any line I put it on and glides very well, so was also available to make pretty long shots with it too because of it's great glide. S-line was my choice because in my opinion it has better grip and good grip was the key word in those hot weathers. Q: Seems that the skill levels of European players are rising year after year, when do you think we will see an European World Champion? Additionally, when will Team Europe take home the Presidents Cup? Seppo: Level in Europe is growing up very fast and well! We have to get more players from Europe to play in the US. I believe we'll have European world champion in a couple of years. Team Europe is getting better and better fast and we will see a lot of tight matches between the two continents. If team Europe is not the President's Cup champ next year, it will be the year after that! Q: What tournaments are still in your schedule for 2012? Seppo: I will play couple small tournaments but I still have the big one at Rock Hill South Carolina. The USDGC ! I will practice so well that it will be the best tournament ever for me ! Q: Congrats for a great win at the Finnish Championships! At which point did it become clear to you that the victory would come home or was it clear all along? Leo: Thank you! After my 3rd round I realized that I had a chance to take the title and I decided to do the best I can do to get it. Q: You sealed the deal with a ~15m putt to an elevated basket with OB just behind the target. What was going through your mind before that putt? Did you ever consider laying up and leaving the pressure to Arttu, who was also looking at a difficult putt with one stroke behind? Leo: Well, at first we had to decide who was going first. During that I thought that if it would had been Arttu's turn I would have watched his solution. Arttu measured the distance between our discs and the basket and I had to putt first. I had seen how well Arttu had made his putts all week long so I decided to try mine. I didn't worry about the OB because I felt so confident at the moment. One reason for me to go for it was also that I didn't want to play sudden death play off. Q: The skill level of players the Finnish Championships has arguably risen year by year. How can one keep up with the pace and how does a great player get even better? Leo: That's a difficult question. I think by playing at tough competitions with other great players you realize what do you have to do better to keep up with the pace and how to reinvent your game. Q: Which discs did you use the most at the Beast and why? Leo: PD's and PD2's are discs that I used the most of the time. Those discs were used the most because I use PD for long anhyzers, S-curve shots, hyzer flip shots and death straight control shots in tight fairways. PD2 is my disc for sidearms, for long hyzers and for distance drives. That kind of shots were needed at the Beast. 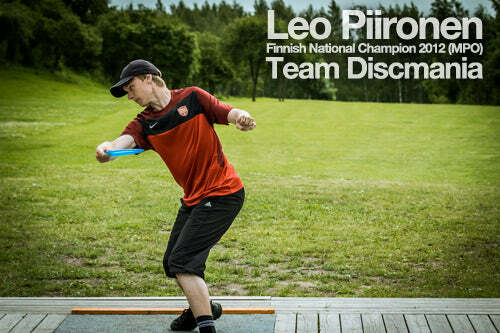 Leo's key to success was good disc selection. Here's another PD shot heading down the fairway. Q: In an interview during the tournament you said you really enjoyed playing in the lead group since everyone there were your friends and practice partners. Which players would you prefer playing with in the lead group for a National or International event? Leo: I prefer people that I know and who I can cheer up and who cheer me up, but playing with strangers is fun too since it's a great way to make new friends. Q: In the past couple of years we've seen an emergence of big fields in AM-level tournaments. Do you have any advice for an AM players considering going Pro? Leo: Going Pro means a lot of new experiences. Playing with skilled players is a good chance to get to know something new and useful. My advice is that don't be afraid of going Pro because if you decide to stay AM you risk to miss out on a lot of great experiences. 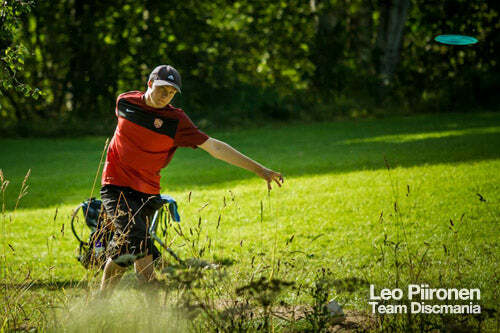 Leo: I think the USDGC is the only competition that is worth of mentioning. It will be my first time there and I'm really looking forward to it! Congrats also to Team Discmania's Anne Matilainen for her 6th Finnish Championship title in FPO & Anders Swärd & Anki Frantz for second place finishes at the Swedish Championships! Not to mention Team Discmania's & Team Innova's Will Schusterick who was placed 3rd at Pro Worlds and has played a phenomenal season so far!